Most people aren’t ready for this jelly, as the intricate designs inside these confectionary products are often met with pure disbelief. 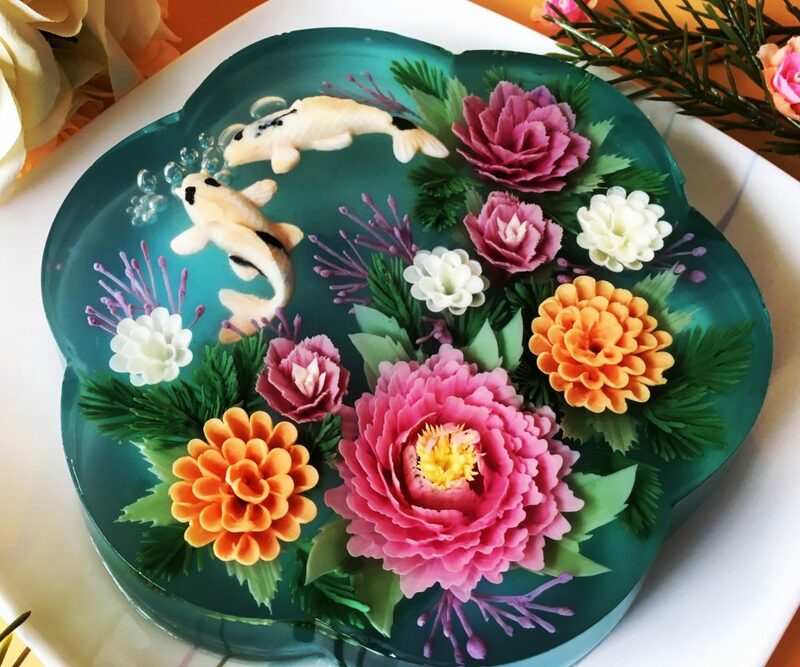 The eye-opening works of artist Siew Heng Boon include jellies that even look like koi carp ponds: jelly fish swimming around amongst vibrant flowers. Each work, Siew said, can take up to four hours to create, depending on the complexity. Having been diagnosed with Stage 3 breast cancer in 2017, Siew’s determination to continue doing what she loves has also drawn much admiration. With the cancer diagnosis causing her to put her artworks on hold, the artist, from Sydney, Australia, then used the medium as a way to think positively while battling the disease. Siew said: “I was determined not to let cancer hold me back from doing what I loved. 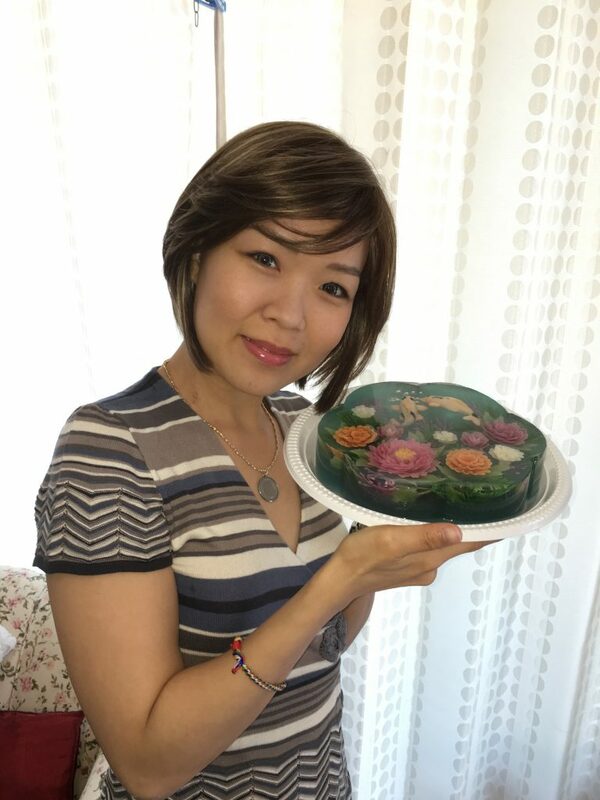 “On the days that I was feeling better, I dedicated my time to craft 3D jelly cakes for my carers and doctors. “Free from the confines of time and pressure and with the aim of expressing my feelings, my designs actually got better. “I had found that during my battle with breast cancer, focusing on creating beauty helped steer me away from the physical pain and dark thoughts. 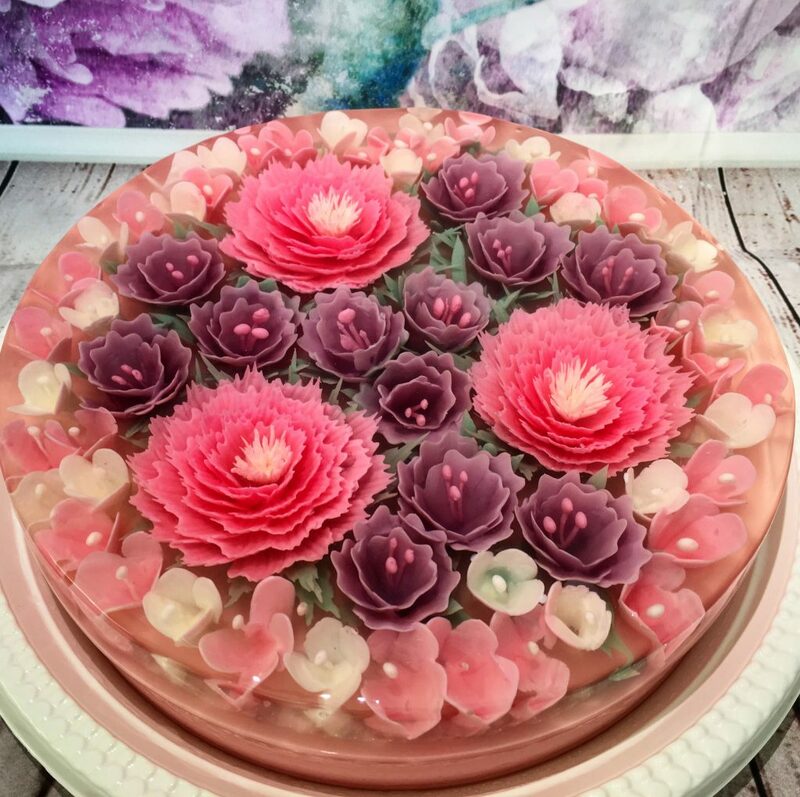 Siew first became interested in creating such beautiful confectionary products two years ago, when she noticed a intricately designed jelly while in Malaysia. 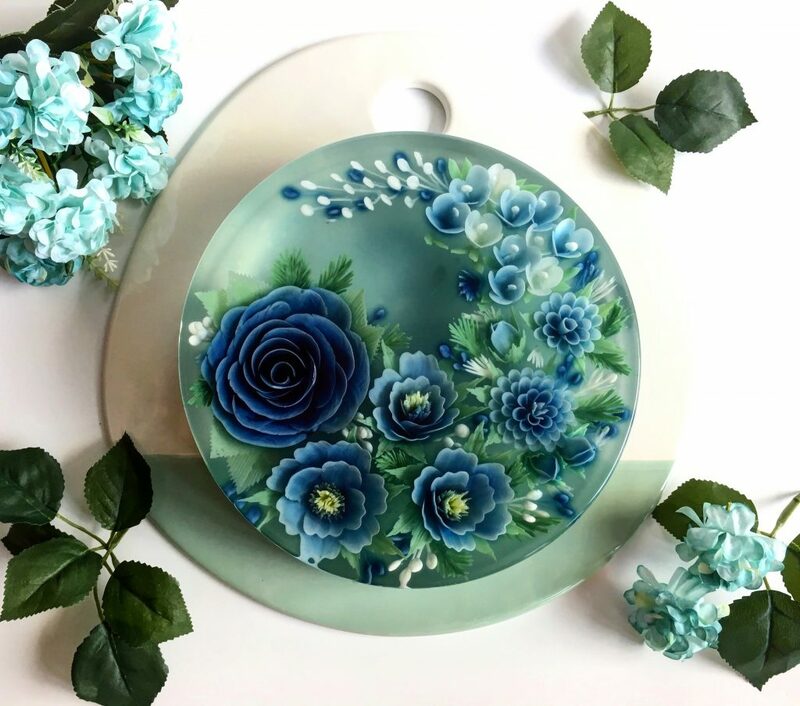 Intrigued, she undertook a 3D jelly class in 2016, which taught her to perfect the likes of taste, coloring and design. Designs are created by using a clear canvas; flowers can be made using petal-by-petal injections. 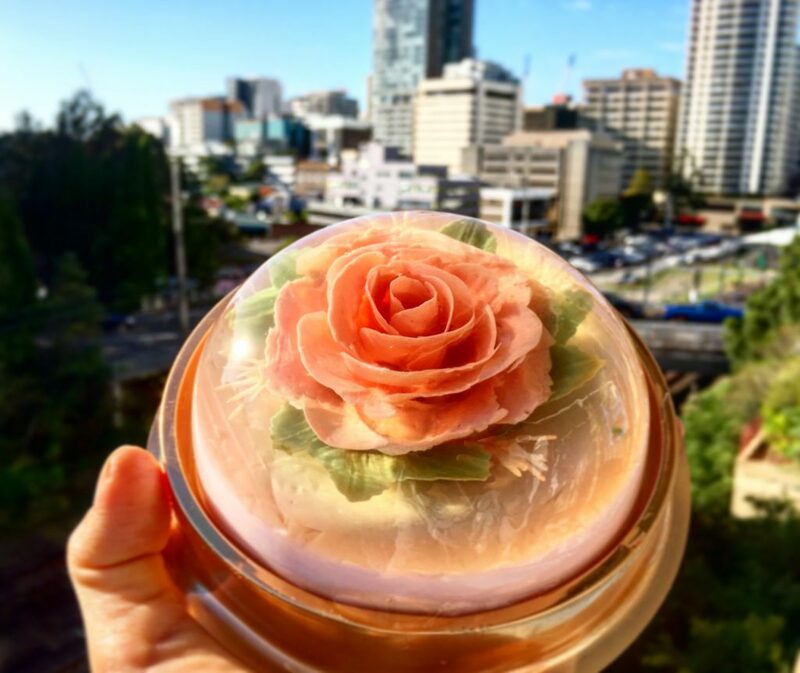 Having initially posted her experimental works on social media, a friend later reached out to ask Siew to create a jelly cake with a rose embedded. 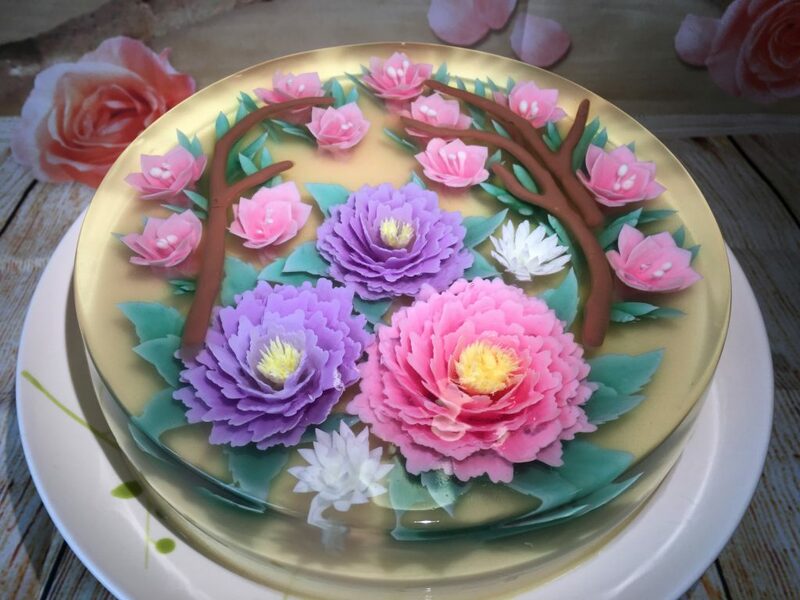 From the success of this cake, the artist continued to receive request after request – even having customers tear up with joy at the appearance of the cakes. Today, Siew has her very own business, Jelly Alchmey, which specializes in such masterpieces. Siew said: “The art and the combination of flavours are a very clear expression of me and my interpretation of the occasion it’s used for or the person who it is being gifted to. “I choose to gift flower gardens because flowers never fail to brighten a day. “To me, culinary art is a form of respecting and loving the food that we eat.